Back in ancient times (early 2000s) we all had file downloaders. They were all free. They all worked and — except for the occasional BonziBUDDY — they were all clean of junkware. This topic contains 25 replies, has 12 voices, and was last updated by anonymous 5 months, 1 week ago. For the layman what’s the advantage over just clicking links in one’s favorite browser? Does it speed some things up? I do understand the value of the ability to download things directly. I personally use a build of the Gnu wget command line tool, which has the added advantage of being scriptable, so automating the daily download of files from a URL (like a website blacklist) can be done via a scheduled job. I’m just curious about what an HTTP downloader like Eric’s does to make life better. Oh, and by the way, that oldergeeks.com site you linked to, Woody, isn’t quite as “****ware-free” as they would have us believe. Please forgive me for being pedantic; I really don’t want to discourage good folks from doing good things on the Internet. But I feel I must say something. I noticed that my browser, outfitted with UBlock Origin and UMatrix, refused a number of requests their site tried to get my browser to make to 3rd party sites. As such things go, their 3rd party contact list is pretty tiny and tame, but it’s not 100% free of tracking as the page text might have us believe. I don’t blame them; maybe they don’t know web programming and are using someone else’s work. Or maybe they don’t think site visit tracking by Google, PayPal, Pinterest, Twitter, and DuckDuckGo are a big deal. Trouble is, where do you draw the line? I have personally coded a website that doesn’t do that, so I know it’s possible. Since my browser refused scripts from several of the sites, I don’t know whether there may be even more sites those scripts would try to visit. That’s the site itself, but I think when Woody said it was somethingware free, he was talking about the actual program. A lot of downloaders have ads and spying built into the program itself, as I understand. Downloaders are still required for large files over slow or unstable connections. I still encounter the occasional ISO that slows down or times out and Chrome is unable to resume it. There’s a java downloader I used a while back that was awesome, but I’ve lost it and google hasn’t been helpful in finding it again. This one looks like it will be my go-to app from now on. Thanks! Must be Heimdal, because Chrome v70 and Firefox v61, both with no addons, do not report any problems. Does it say what is improper? This is what I’m seeing and it seems pretty tame. That seems like the kind of stern warning you might get if the site data wasn’t being encrypted, but as far as I can see it is – with TLS 1.2 and 128 bit keys, which is a decent level of encryption. Did you directly follow Woody’s link (which goes directly to secure https), or type the web site name into your address bar? I clicked on it directly and did so again just now, to the same result. I was a little bewildered by HTTP being the focus, in this day and age of HTTPS. On checking, I found Eric Kutcher’s github page, which states “HTTP(S) download manager that uses input/output completion ports (IOCP)”. The changelog file didn’t return HTTPS as a result to a search, but it seems hopeful that some security might be involved. The latest change was this week. I regularly need to do SFTP downloads from a public NASA data depository of large numbers of rather large files at a time of data I need to analyze, as part of my work, and have written my own scripts for that. So I do appreciate the potential usefulness of the kind of “oldergeeks” offer, particularly if it is software that can be launched with a one-line instruction in one’s own script and so simplify somewhat the work of writing the script. On the other hand (if I have understood Noel Carboni comment correctly), being connected automatically to third party Web sites, without having a chance to vet them first oneself, is not a great thing, because one is thus exposed to whatever malware might have been surreptitiously installed by crackers in those sites, however good and pure the intentions of their original creators and current curators. Just to be clear, in my second post above I am describing connecting to the oldergeeks.com web site, from which the HTTP Downloader can be downloaded, and frankly I wouldn’t have even brought it up except that they go into much exposition about how their site is “free from ****ware”. I don’t know about how the HTTP Downloader itself works. I’m not planning to test it or use it at all as I have all the downloading capability I need. If I were going to test it I’d certainly scan it for malware then test it first in a virtual machine – which is what I do with all software I don’t already know. I can recommend some good FTP access tools, by the way. The Gnu wget tool I use can directly download FTP files, but I actually use the FTP access capabilities in a “deep software geek” commercial tool I have purchased called Beyond Compare by Scooter Software. I use it, for example, to upload files to my own company’s web site (e.g., for maintenance). What’s nice is that Beyond Compare facilitates keeping a remote site synchronized with the local files I have, showing me just what’s different, and even allowing me to examine the specific differences line by line and block by block. I specifically use the sftp (secure FTP) protocol, which adds encryption and speeds up the work some. 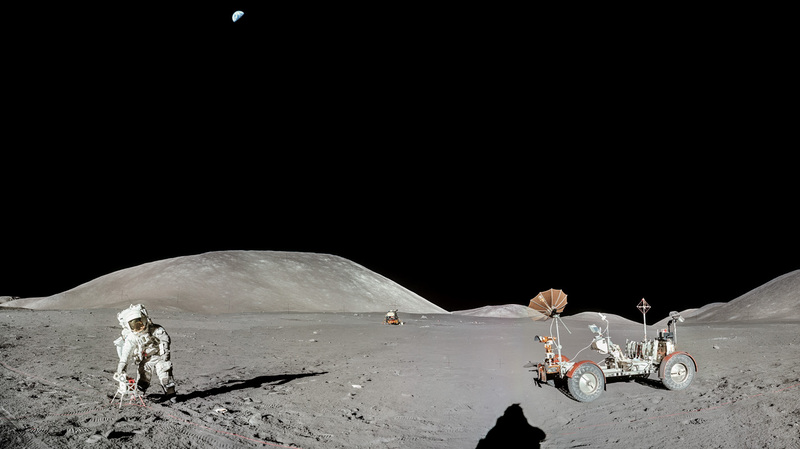 I also download large amounts of data from NASA servers, from the USGS, from the LRO team, and from ASU’s growing repository of everything Apollo. I use the DownThemAll! extension in Firefox. I configured DownThemAll! to preserve the server’s date and time stamps for all downloaded files since I want to know when those files were originally placed on the servers for these web sites. OlderGeeks.com - No ads, no crapware, no b.s. Thank you for responding, Randy and Deanna. Unlike that of many folks, my setup identifies what 3rd party sites are being accessed for data and scripts (the contents of which are, face it, completely out of your control). I wouldn’t even have brought this up as your site is enviably tame as sites go, but your bold claims imply it is squeaky clean – which I’m sorry to say that it’s not. You may not have ulterior motives. That doesn’t mean your site, as coded, isn’t trying to extract value indirectly from your visitors. You have now said you’re tracking visitors, and just because you choose to trust another online site to get basic visitor information doesn’t mean others should trust your choices. You could, for example, host the PayPal button graphic on your own site, then PayPal wouldn’t be able to track a user just for visiting your site. And your site would load (slightly) quicker for all. You may not have even thought of these things. Most folks don’t suspect DuckDuckGo of anything nefarious, but who can say for sure? You really don’t need to open a frame from their site just to show data to visitors. Put simply, neither you nor I can know what other sites do with the information that they receive. Because your page source calls upon their site, when someone visits your page, they know. And I really hope you don’t believe the Google Analytics scripts gather data just for your benefit alone. Don’t get me wrong; Google search is a great online resource; they’ve probably advanced the state of the art in the Internet beyond what any other company has done. But they aren’t publishing these scripts just for our well being. Personally I DO consider google-analytics scripts “****ware”. You’re certainly on the right track in not choosing to load up your site with junkware and misleading “gotcha” links. Just please understand that even what seem like simple, above-board choices to you open the door to online tracking by others whose motives really are to extract value from us as we surf by. I just feel being told “no BS” and “no ****ware” should really mean “none” in the literal sense. For the Naive, no explanation is needed. For the Paranoid, no explanation will be enough. A fine bit of philosophical sophistry to be sure, and catchy too. It does a neat job of categorizing and labeling persons without addressing the accuracy of facts, or the understandable viewpoint of oldergeeks. Please support or defend the view you agree with. But discuss the details in view not the viewer standing next to you. I have never had any issues with oldergeeks.com. I have never had anything bad served up to me on a silver plate from oldergeeks.com. I think that this “issue” should end right here and right now since, in my opinion, the only thing which I care about is whether or not any “bad” stuff tries to infect my computers. This should be the long and the short of it. the only thing which I care about is whether or not any “bad” stuff tries to infect my computers. You are able to make that decision for yourself. Others are free to make up their own minds. I for one, am deeply concerned about online privacy and the tracking of my activities for profit or other motives that have no direct benefit or compensation offered to me. Google, does what it does well, and has made the internet a more useful place, but they have done that for profit using “our” data, sometimes in ways that some find objectionable. 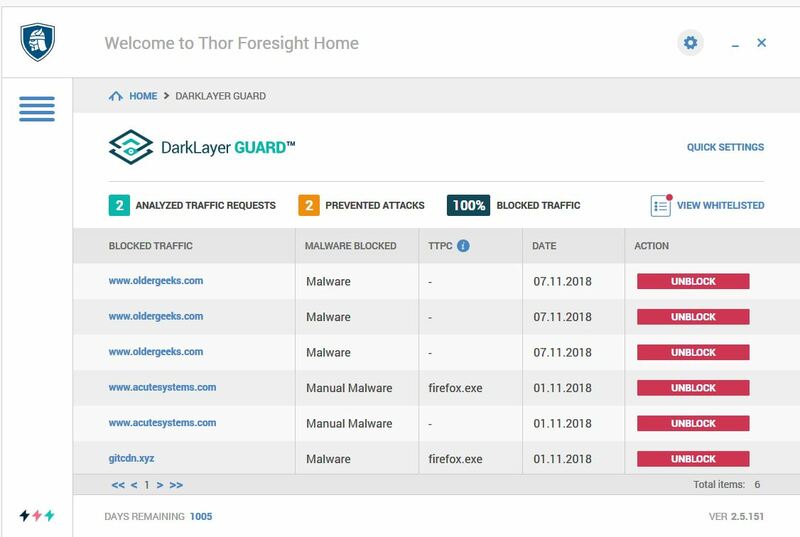 If oldergeeks wants to claim a malware free site, they should include a disclosure that they are using google analytics and scripts from specific 3rd party sites and thus some visitor activity data is being sent to places one might not expect after reading the masthead. No BS means no BS except, some undisclosed data sharing seems to have been determined to be outside the definition of BS on this site. HTTP Downloader is available on MajorGeeks. A web browser performs many functions with a lot of additional features. One very basic function is to request and receive data via HTTP. It performs this basic function with a lot of overhead. Most of it very useful. But if you have a specific need for data from a single source that you trust, and want to get it without all the other fuss, this downloader will perform that function in a specialized way. Like a kitchen knife is more fit for one use than a Swiss Army knife. But it won’t open a bottle of wine on a picnic.